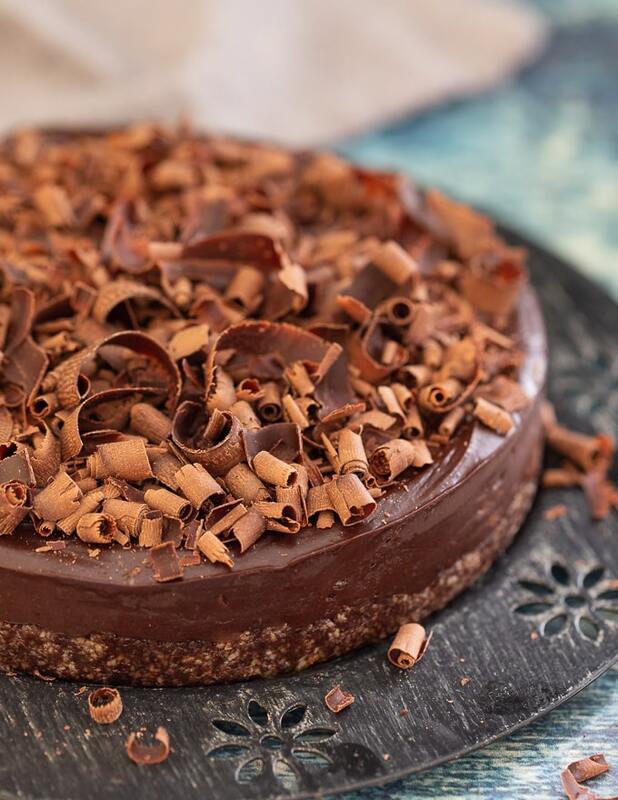 Simple to make with only 8 ingredients (plus salt), this No-Bake Espresso Chocolate Fudge Cake is here to rock your dessert world. 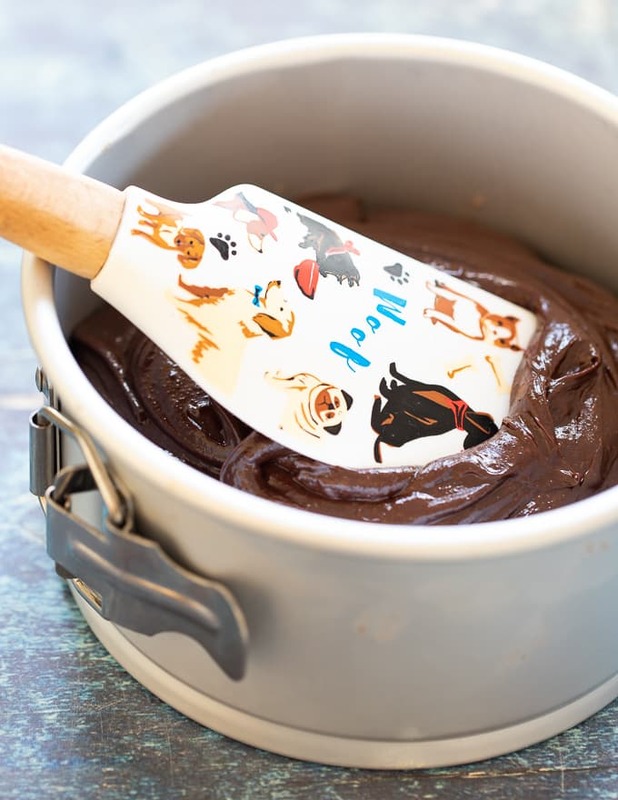 It’s intensely rich and fudgy chocolate perfection, that needs no baking and is gluten-free with a nut-free option too. Where’s my fork? You all know I love chocolate, right? 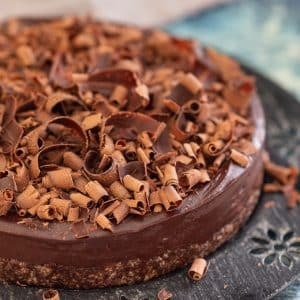 Well, mine, and your, chocolate dreams are coming true right now with this rich and fudgy No Bake Espresso Chocolate Fudge Cake. How is it even real that you don’t need to cook it? ???? 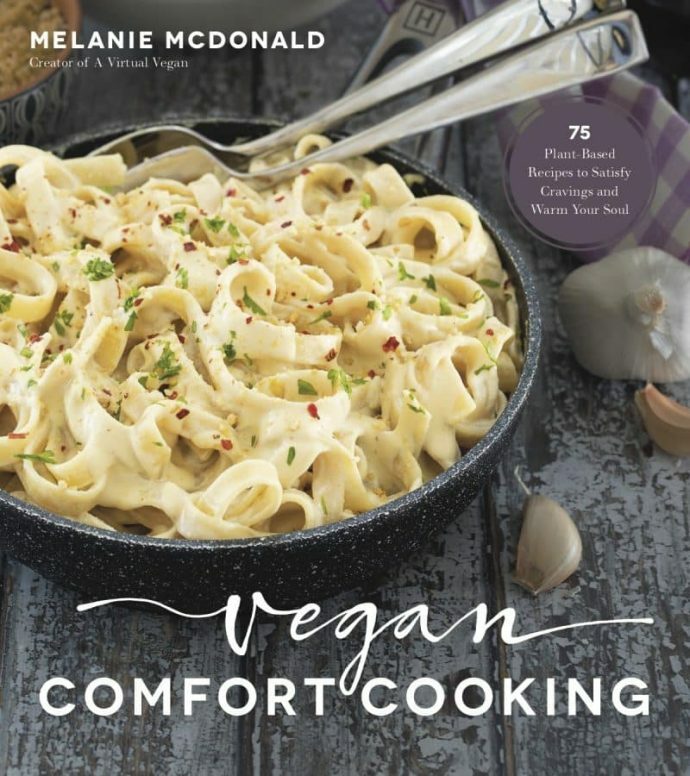 This my friends, is one of the many amazing recipes in Brandi Doming’s new book The Vegan 8. 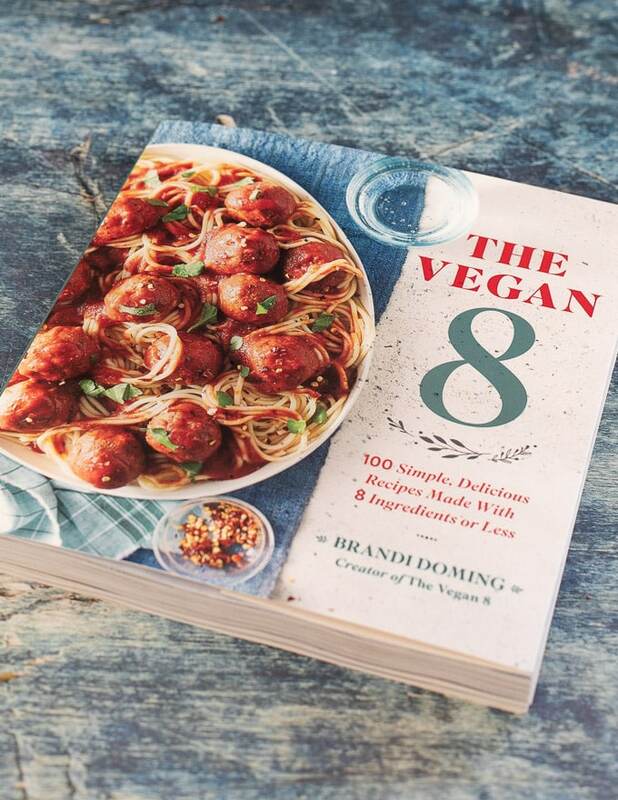 Brandi is the creator of the blog The Vegan 8 and her book includes 100 simple, delicious recipes made With 8 ingredients or less. 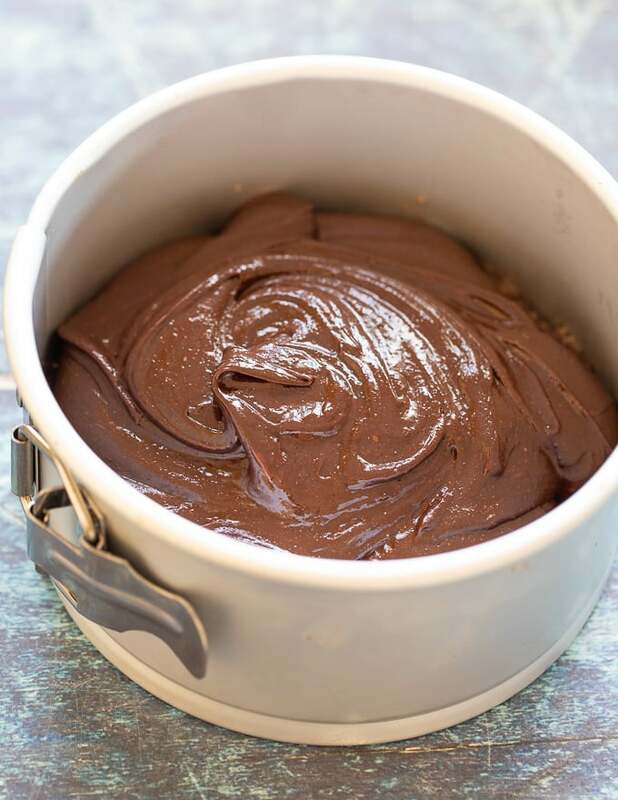 I was sent a media copy of her book, and was given a list of recipes that I could choose from to share here, and this No-Bake Espresso Chocolate Fudge Cake was a no-brainer for me. 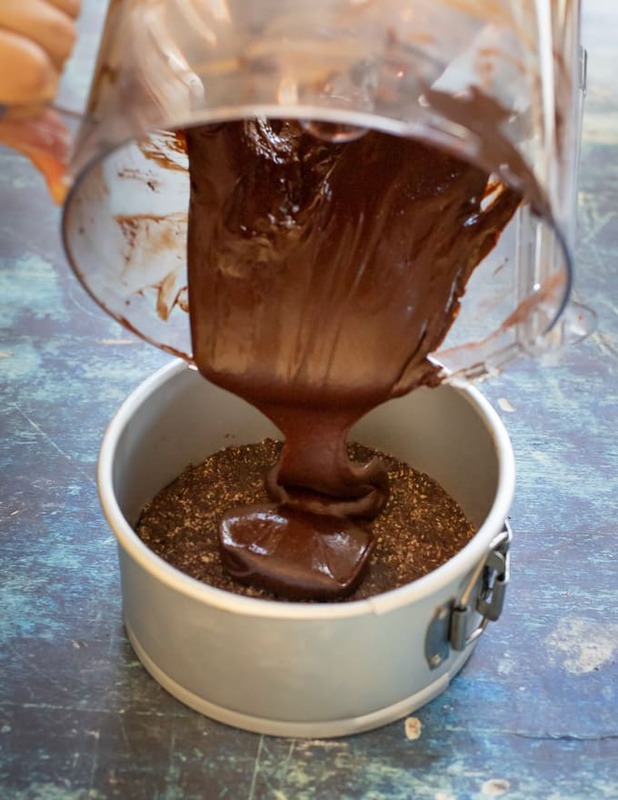 I adore anything that involves chocolate and I’ve been so busy of late with the creation and writing of my own cookbook that the fact it was no-bake made it even more attractive. Plus it’s been a while since my Vegan Chocolate Banana Bread and I think we all deserve a chocolate filled dessert again! Process all of the crust ingredients together and press into a tin. 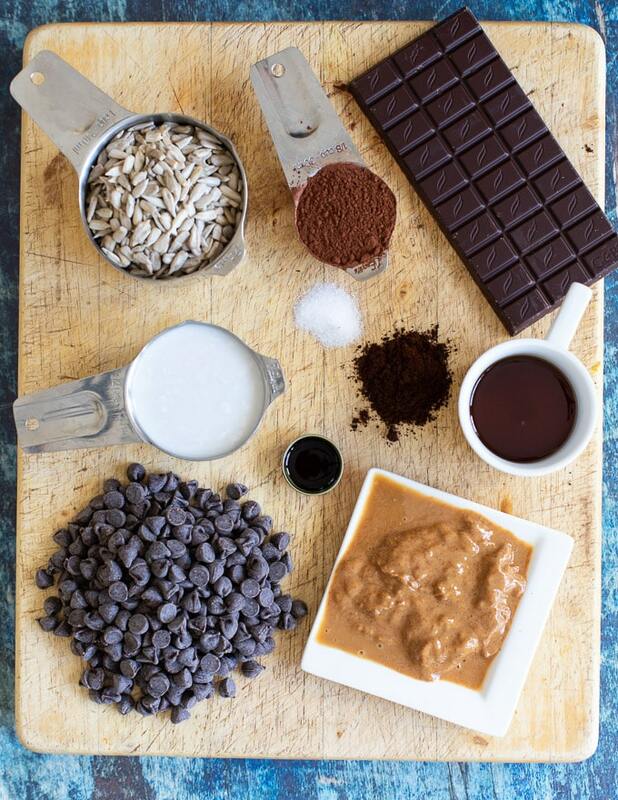 Melt the chocolate and the non-dairy milk together then add to a food processor with the other filling ingredients. Process until smooth, then pour/spoon onto the crust. Level off the top then chill for a few hours or overnight. Make some optional chocolate curls. Remove the cake from the pan and scatter them on top. 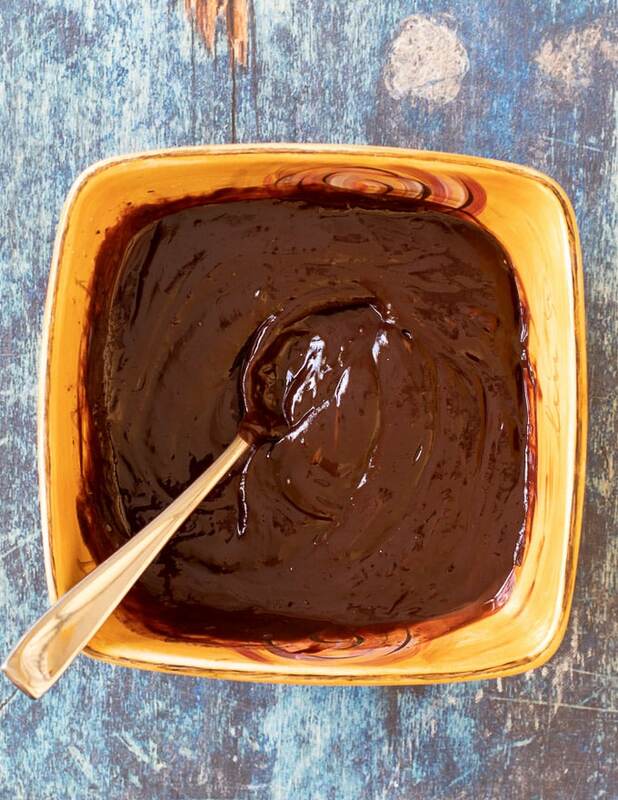 Great for making in advance as it keeps really well in the fridge for ages. It is absolutely perfect served alone, but would also be amazing with some fresh raspberries or other berries to cut through the richness. 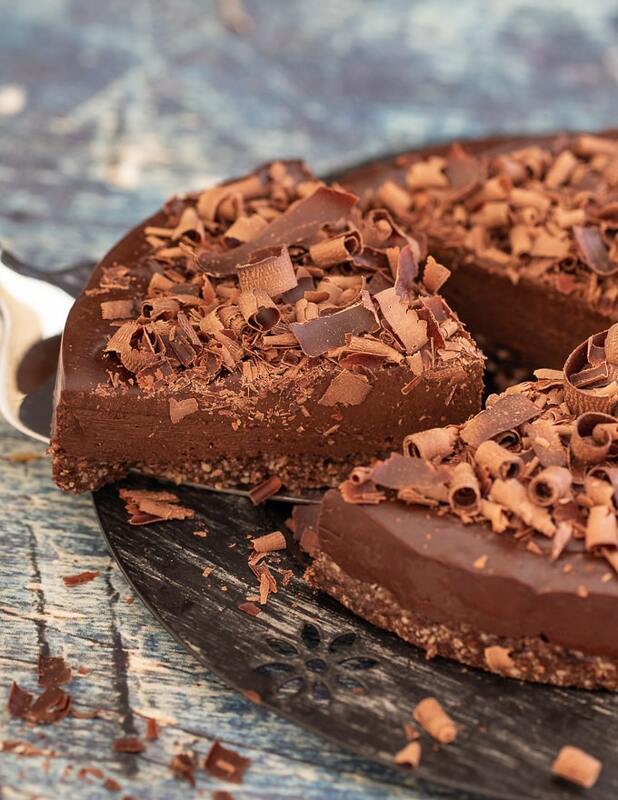 I must say that I’m pretty fussy as far as chocolate cakes and raw desserts go, but this one is superb. We all absolutely loved it. Brandi has outdone herself. 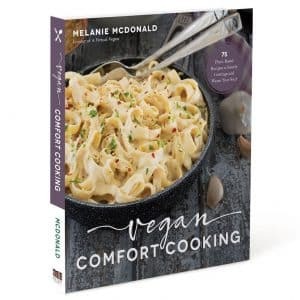 If you want to try more of her wonderful recipes, be sure to check her book out. You can find find it on Amazon here, or everywhere else thats sells books. 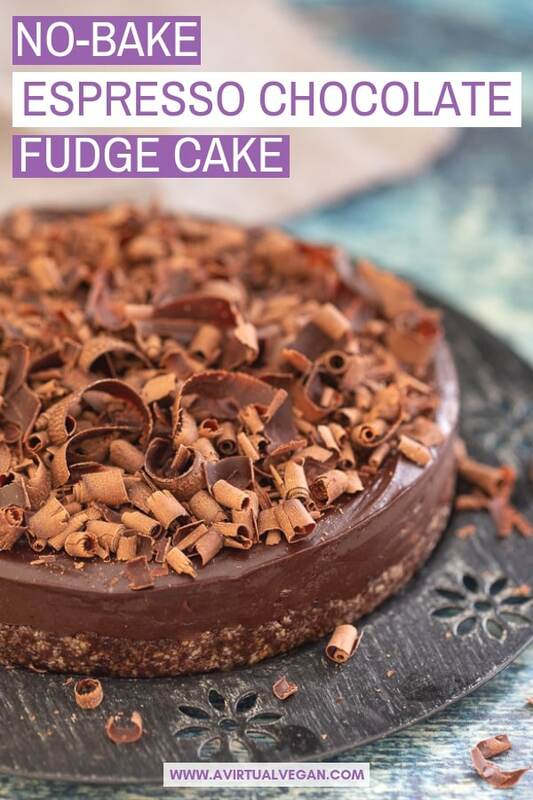 Simple to make with only 8 ingredients (plus salt), this No-Bake Espresso Chocolate Fudge Cake is here to rock your dessert world. 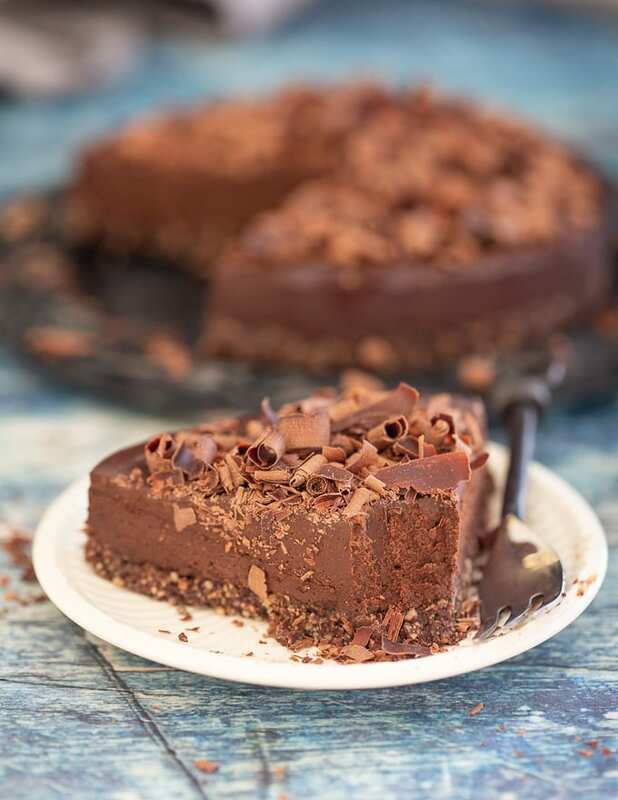 It's intensely rich and fudgy chocolate perfection, that needs no baking and is gluten-free with a nut-free option too. Where's my fork? To make the crust, add the sunflower seed kernels to a food processor, and process for about 30 seconds or until finely ground into a flour. Add the salt, cocoa powder, and espresso, and process until combined. Add the syrup, and pulse until it all comes together into sticky large clumps and holds together when pressed between your fingers. Line the bottom of a 6-inch springform pan with parchment paper and spray the sides with nonstick spray for easy removal later. Press the crust mixture into the pan, making a flat, even layer along the bottom but not up the sides. Wipe the processor completely clean. To make the filling, add the chocolate chips and milk to a large microwave-safe bowl. Microwave on HIGH for 30 seconds. 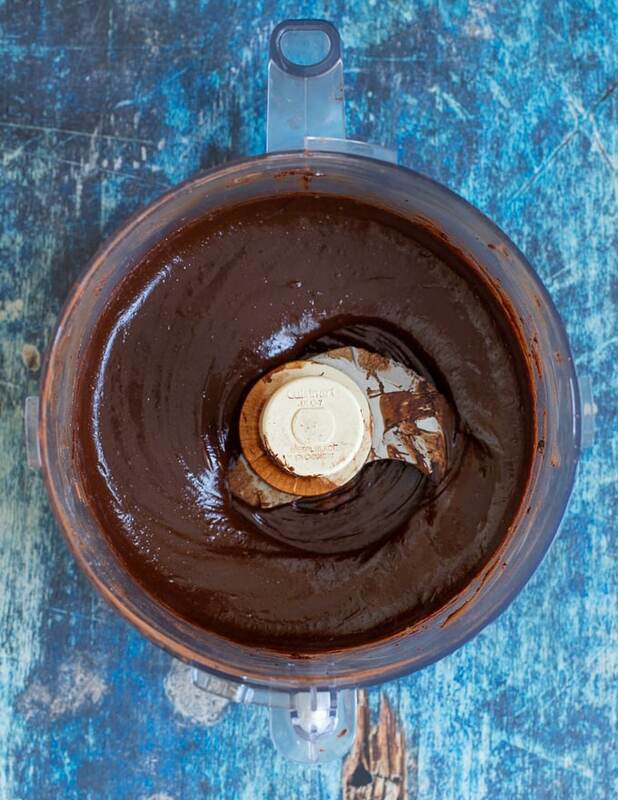 Stir well, and then heat in 15-second increments until the chocolate is almost melted. Stir until completely smooth and no more bits remain. 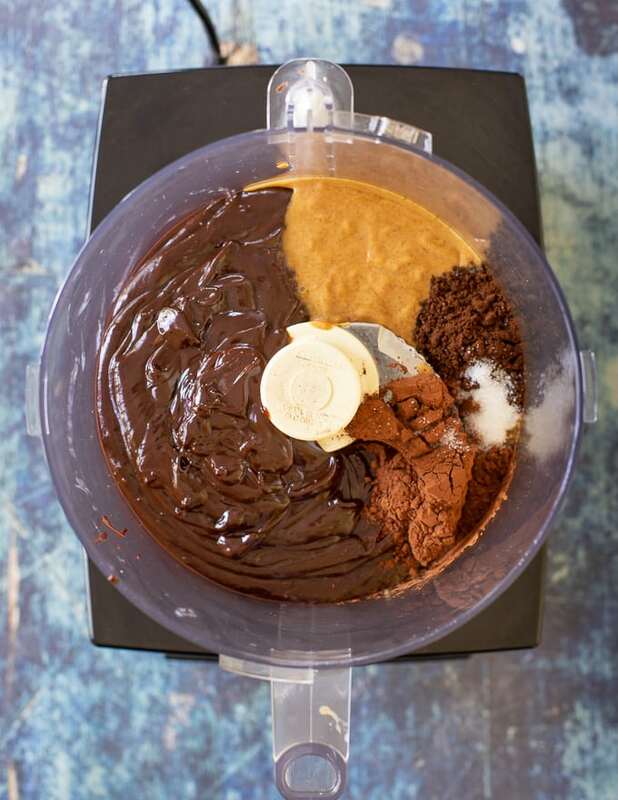 Add the chocolate mixture to the food processor. 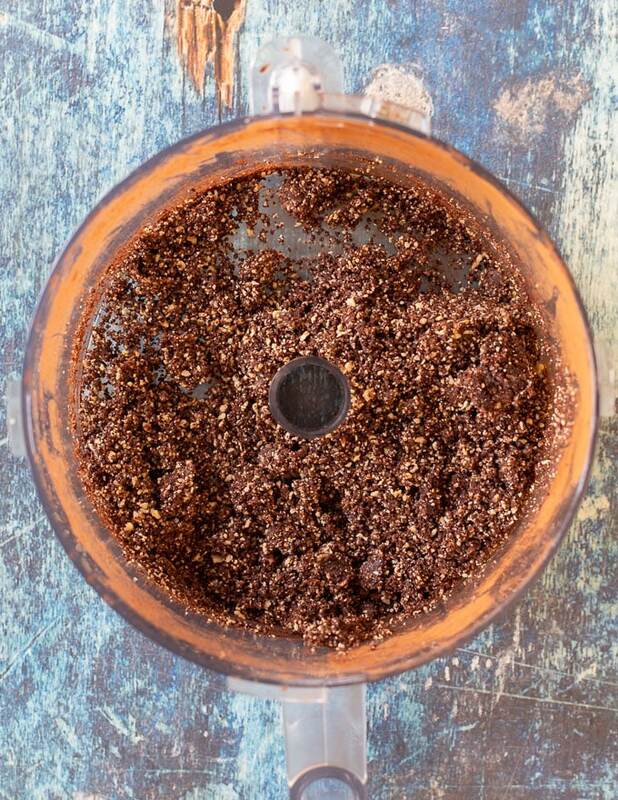 Add the almond butter, vanilla, espresso, cocoa powder and ⅛ teaspoon salt to the food processor, and process for 2 to 3 minutes or until completely smooth. Scrape the sides, and process once more. Pour the filling over the crust, and smooth the top. Chill in the fridge until completely solid throughout, at least 2 to 4 hours but ideally overnight. Garnish with thickly shaves chocolate curls, if desired. Store covered in the fridge. 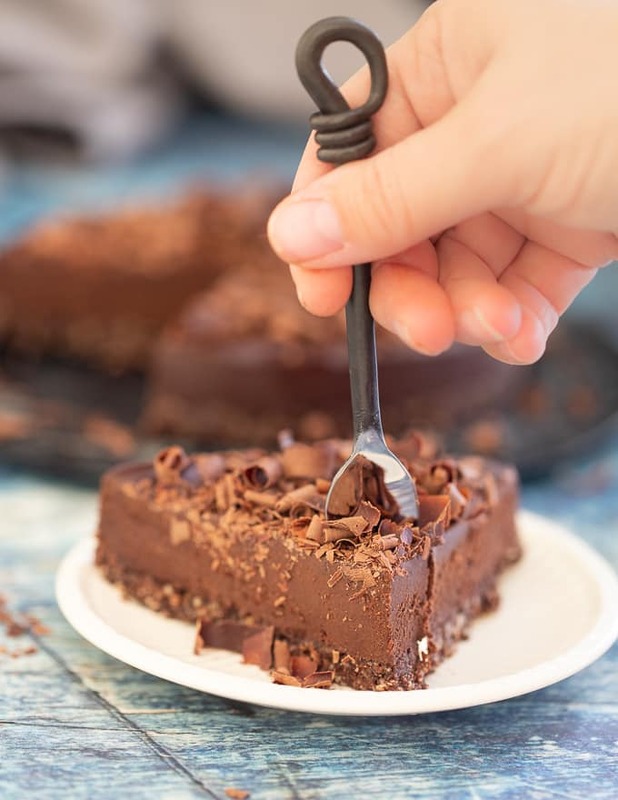 To make the chocolate curls, place a dark chocolate bar on a microwave-safe plate and microwave on HIGH for just a few seconds to soften it. 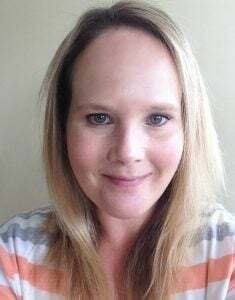 Use a vegetable peeler to shave the edges and create long curls. Cashew butter will work in place of almond butter, just make sure it is the raw variety with no added oils or sugar. To make this nut-free, sub with sunflower seed butter (such as Sunbutter). Thanks to the chocolate and since it's a small amount, the sunflower seed taste is not noticeable. You can use nuts instead. Cashews, almonds, walnuts or pecans would all work. Is it supposed to be put in the freezer or the regular fridge? It doesn’t need to be frozen. It says in the directions to set it in the fridge and store it in there too. Mel, this looks do decadent! 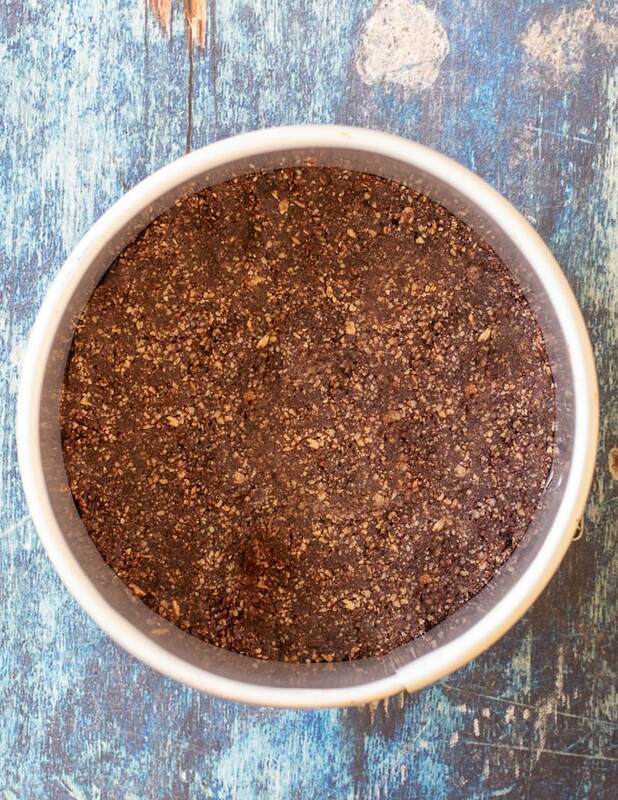 Could I use ground coffee in lieu of the espresso ? I have and it was fine. Enjoy! Mel, your pictures are just so stunning and captured my cake so beautifully! I’m in awe of how perfect it looks! And can I say just how happy I am at how much you loved this cake and your wonderful review of my book! It is so appreciated and I’m so grateful that you took the time to review it and share this recipe with your wonderful reviews. Thank you so very much!! It looks incredible and you nailed the chocolate curls girlfriend! Aaaww thank you Brandi! It was my pleasure. It’s a beautiful book and I’m sure it will do very well. This looks so delicious! Can I ask what the purpose of the coconut milk is? Is it to function as a liquid, or is it supposed to be a thickener? Could I substitute for oat or soya milk, for example? Thank you. 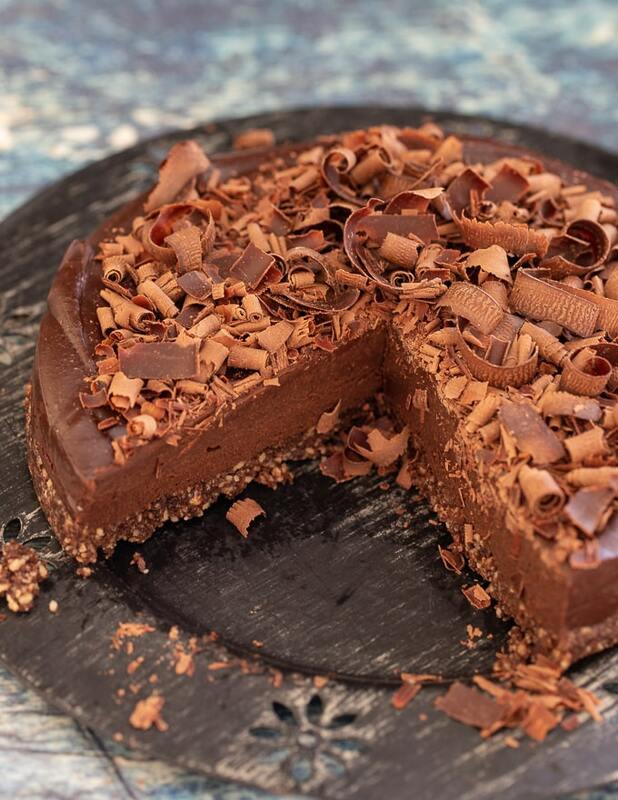 Coconut milk is best because it’s really thick and rich with a high fat content so adds to the creamy texture and decadence of the finished cake. It also compliments the flavours. It really is the best option, but creamy cashew milk is listed as an alternative in the recipe too. Both are both better options than soy or oat milk.